I knew Anne through theater in the Adirondack Mts of NY. 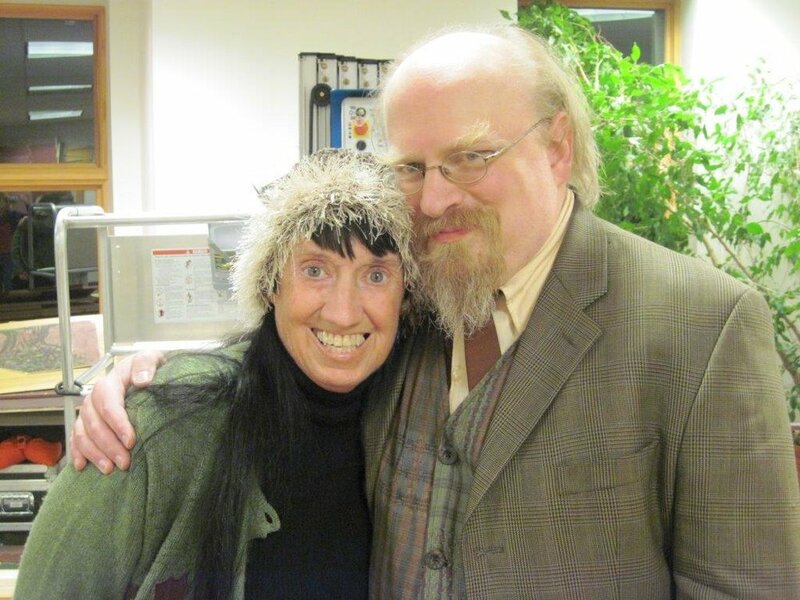 I did costumes with her for several productions, and was fortunate to act with her as well. Anne's vision and attention to detail in costumes was unmatched by anyone I've ever worked with. When Anne directed Dracula with Our Town Theatre Group OTTG) she had a particular vision of Dracula's clothing - he had to wear a Hessian type uniform of a certain shade of purple. It took me weeks to get the coat the correct color and length, but it felt so good to finally get there and she was so appreciative! It was amazing to watch Anne take pieces of this and that clothing, put them together, add a belt and perhaps some shoulder pads and come up with the perfect costume; she was such an inspiration to me! The year after Dracula Anne directed a staged reading of The Importance of Being Earnest for OTTG. She took that script and some raw talent, including myself, and turned it into a very successful staged play with full costumes and set. As a director Anne believed that everyone had talent, and she patiently and kindly guided us to do our best. The end result of whatever project she was working on was an exceptionally good production, often with an added piece at the beginning to set up the story. Last summer, in July 2017, Anne directed her last play for the Art Center in Blue Mt. Lake. 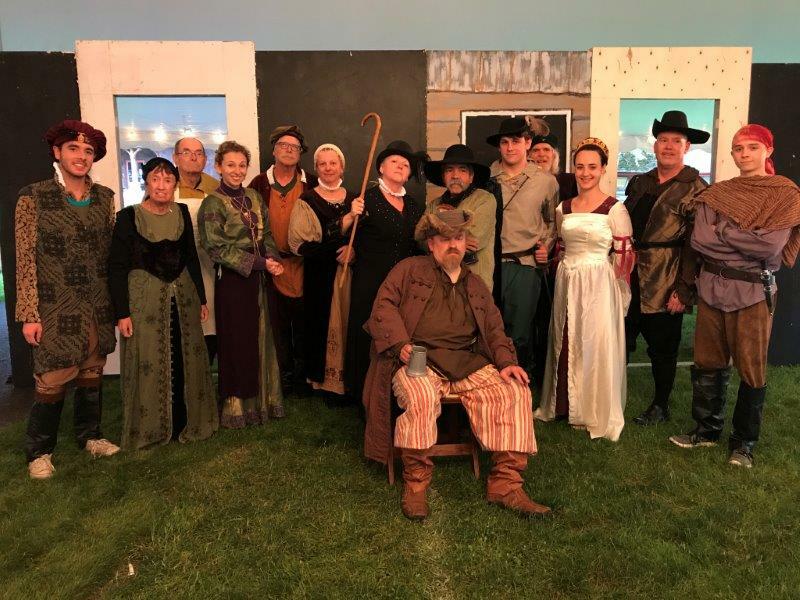 It was a production of Shakespeare's Merry Wives of Windsor and again Anne took a group of mostly amateur actors and created a wonderful performance in the spirit of Shakespeare that toured throughout the Adirondack Park for 8 performances. I remember at one moment backstage Anne and Dave just looked at each other and had a smooch and laughed because they were having so much fun together and loved our little show. I feel so honored to have known Anne and having had the chance to act with and learn from her. When she passed away I felt that a bright light had gone and I wish we had more time to work together. I think of Anne and David often; they had a special love that was obvious to everyone around. Anne saw talent in everyone...I will always remember that about her. Rest in Peace Dear Anne, I will remember you with love. 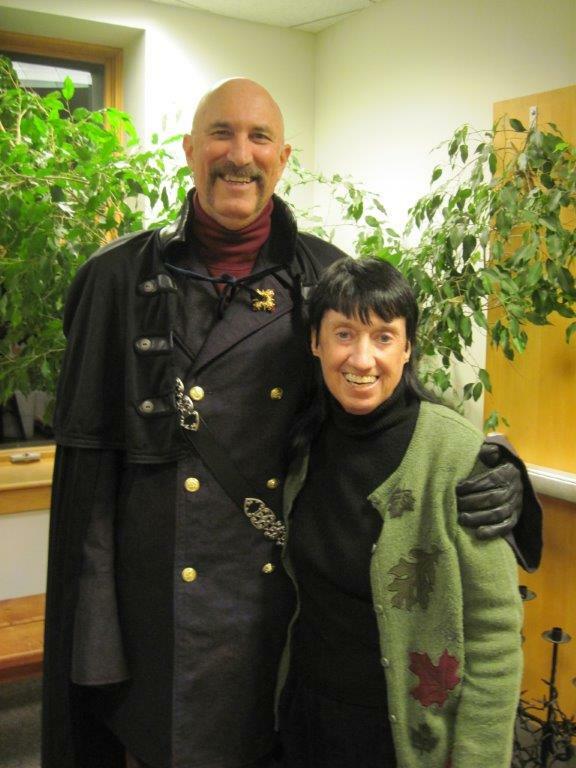 Dracula, Our Town Theater Group, Tannery Pond Community Center, October 2014. Pictures above, L to R: Anne and Jayson Grigsby/Professor von Helsing; Count Dracula/Dennis Wilson frightens the director; Count Dracula befriends the director; cast photo. Second row: Anne and Dracula performer Molly Smith, who was in the play's prequel.